When I was in high school, I tried to catch up on some movies that I had missed out on (a slightly less focused version of what I am doing now). On one trip to the video store (remember those? ), I walked out with Psycho, excited to see one of my first Hitchcock films. Unfortunately, I grabbed Gus Van Sant’s 1998 critically-maligned remake by mistake. I watched it anyway, and sure enough it was terrible. I am glad now, many years later, that I have FINALLY seen the original classic. And yes, it is eons better than Van Sant’s ill-advised remake. 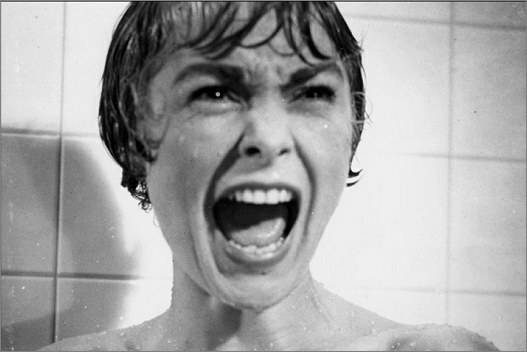 Psycho is home to many iconic cinematic moments. The brilliantly manipulated opening credit sequence, Bernard Herrmann’s frantic score, and Anthony Perkins’ legendary performance as Norman Bates. Oh, and of course, the much-referenced (and parodied) shower scene. The movie is almost a tale of two stories. The first part focuses on Marion Crane (Janet Leigh), a secretary who spontaneously decides to steal $40,000 from one of her employer’s clients while on the way to the bank. She quickly hits the road and becomes paranoid of everything and everyone, especially a police officer who stops her and makes note of her awkward behavior. 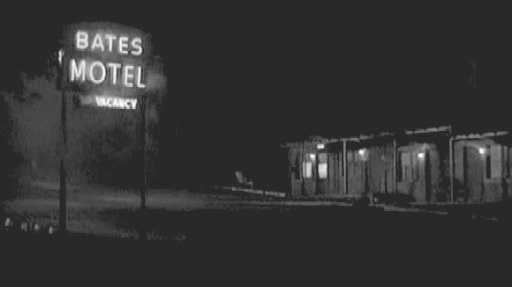 After crossing into California, heavy rain becomes a major issue, and Marion pulls over to the nearest lodge: the Bates Motel. This is where she meets the socially awkward Norman Bates (Perkins), who happily provides her with one of the twelve vacant rooms. Something doesn’t seem right with him, but he appears harmless to Marion. Unfortunately for her, this is where she meets her demise in the unforgettable shower scene. The second part of the movie follows the investigation of Marion’s disappearance. A private detective (Martin Balsam) is hired by her employer to find out what she was up to, and he eventually heads out to the motel after consulting with Marion’s sister Lila (Vera Miles) and her lover Sam Loomis (John Gavin). It doesn’t take much for them to figure out that Marion was at the Bates Motel, and suspicions arise about Norman and his mother, who lives in the house nearby. It’s clear that something shady happened. Of course, Psycho’s plot is something most are familiar with. Even though I knew what was going to happen, I still could often feel my heart racing throughout the film. This is a tense, suspenseful ride that is thrilling even today. So yeah, Anthony Perkins is absolutely incredible as Norman. This is a career-defining performance if I’ve ever seen one. His stuttering, his twitching, his all-around awkwardness just feels natural. He seems like a decent guy at first, just socially inept with obvious mental issues. While the supporting cast generally deliver strong performances as well, this is very much Perkins’ show. 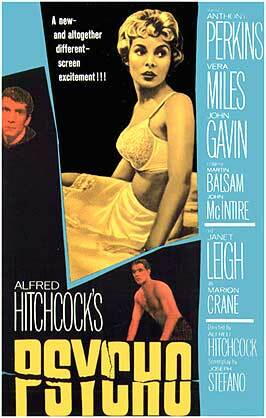 A thriller in every sense of the word, Psycho is more than worthy of its legendary status. This is easily one of the most influential movies of all time, and the character of Norman Bates is one of the most memorable of any type of film. I wish I had never seen the remake, especially before this, but it was still interesting to compare the two. While I wouldn’t go so far as to say it is my favorite Hitchcock (I have Rope and Rear Window pegged slightly ahead), it still ranks up there with the best.